Do you have an event, concert or fundraiser? We've got the tickets! 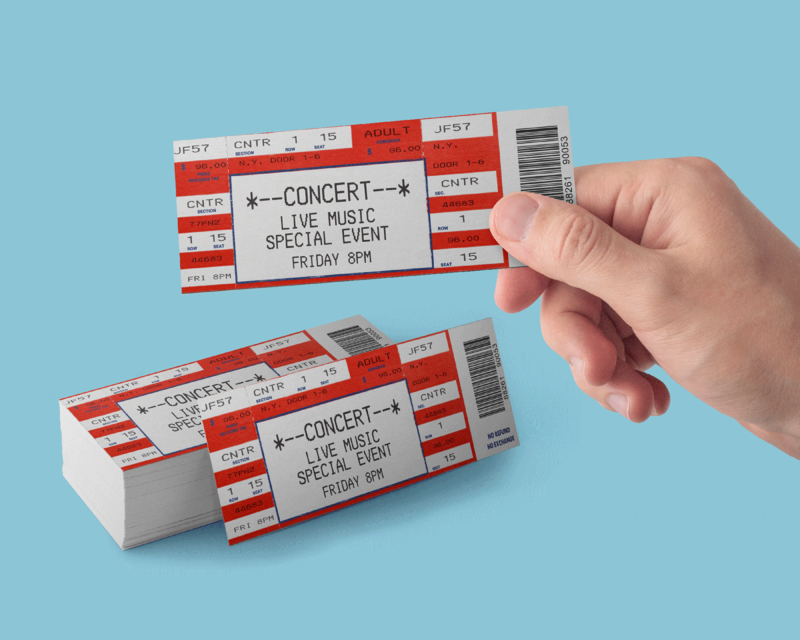 Prima's tickets are printed single or double sided on a 12PT glossy card stock with UV coating (numbering & perforation not available for this item). You can upload your files directly to our site or seek advice from our design team, so get started today!